Refinishing, rehooping, polishing, lip repair, paint, powdercoat and more. 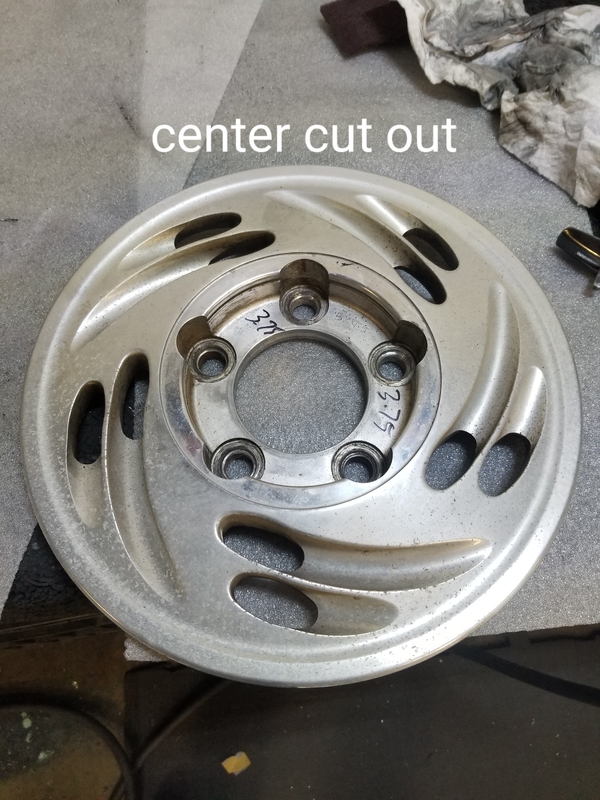 A customer brought in this 26 year old 14×7 Posie II wheel. 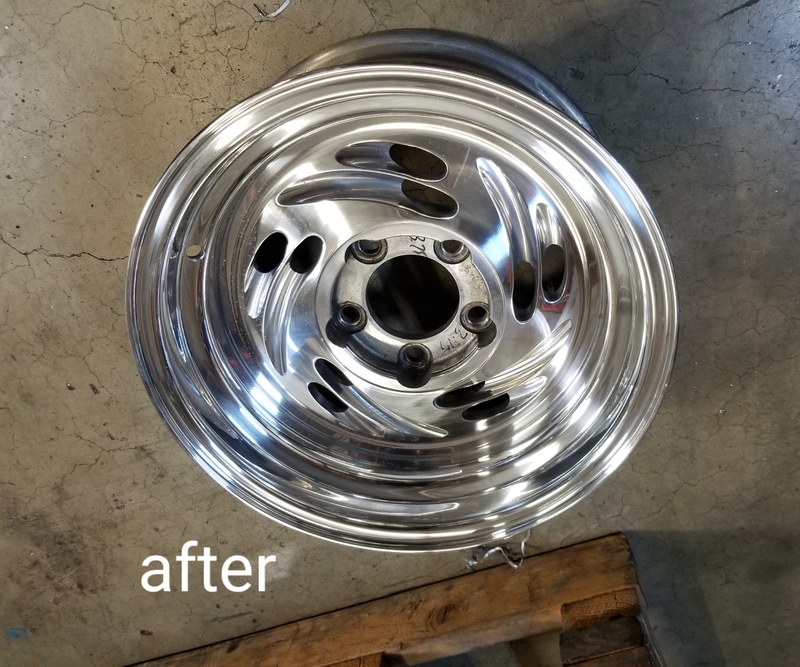 We cut the center out from the rim and put it in a brand new 14×7 rim shell and gave it a good polish. 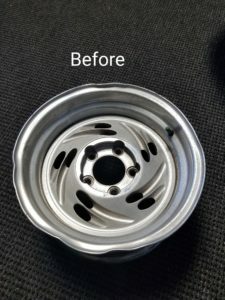 We can do this process to most 2pc billet wheels. If you have any questions on whether your wheels can be repaired like this send us a pic via our contact form. This entry was tagged billet wheel, billet wheel repair, Boyd Coddington Wheels, boyds wheels, Hot Rods by Boyd, wheel repair. Bookmark the permalink. ← Think your billet wheels are demolished????? Think again! Think your billet wheels are demolished????? Think again! © 2013 HRBB LLC. Hot Rods by Boyd is wholly owned by Chris Coddington and has no affiliation with Genuine Boyds LLC and Boyd Coddington Jr.